Current expected credit loss (CECL) represents the biggest accounting standards change in years. While large banks are potentially equipped to adapt to this rule, other financial institutions may face challenges to be CECL-ready. This webinar will share how TransUnion’s CECL Credit Loss CalculatorSM, created in partnership with EXL Service, can help you fulfill the CECL requirements. The CECL Credit Loss Calculator is an integrated, flexible, end-to-end solution designed for any financial entity. It provides a seamless way to estimate CECL reserves and generate reports without technology setup or integration. From data preparation through the creation of auditable regulatory reports, this tool will help you meet tight implementation timelines and navigate the intricate provisions of CECL regulations. The solution combines the expertise of two industry leaders. TransUnion provides the breadth and depth of depersonalized data sourced from its consumer reporting database. EXL lends extensive domain expertise in accounting, risk and regulatory processes. Join us for a webinar during which we’ll demonstrate how the tool works and how it assists you in becoming CECL-ready. 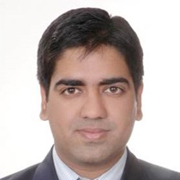 Manish has in-depth expertise in the risk and regulatory area for banking and financial services clients. During his professional career, he has worked with five of the leading banks around the world. He has led large client projects in the areas of CCAR / DFAST submission, CECL, Basel and other regulatory reporting, model governance and model development. He has helped banks evolve their CCAR/DFAST submission process by moving from segment-level models to advanced, loan-level models, automating model monitoring and forecasting process and preparing documentation for senior management, model governance group and regulators. In the last couple of years, he has been involved in creating a roadmap for banks to prepare for CECL. 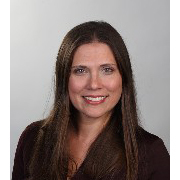 Tracey is the Senior Advisor for Consumer Lending Strategic Initiatives at TransUnion. She is focused on identifying and meeting the needs of TransUnion’s credit union, bank, traditional lender and FinTech customers. She is responsible for the delivery of business development and customer engagement initiatives to better align TransUnion offerings with industry demands. Tracey is the CECL product lead at TransUnion, working with EXL Service to develop a solution that will help lenders comply with CECL in the most efficient and effective way.